Get everything you need to pass the Texas bar exam. Texas bar exam course includes outlines, lectures, practice questions, attorney support, and much more. 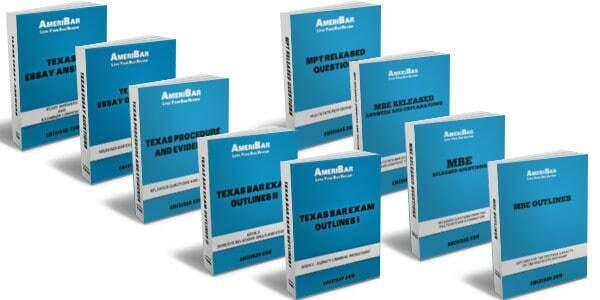 Our Texas Bar Review course includes outlines for all subjects tested on the Texas Bar Exam. The outlines are keyed to the scope of testing set forth by the NCBE for the MBE and written exam. The outlines focus on bar exam testability and are based on our 17+ years of experience. The Texas bar review course outlines are easy to read and contain an intuitive starring system, which highlights important exam topics for efficient study. As a result, you will be more efficient with your study time. You can outline less and learn more. Free up time to work on practice essays and MBE questions. The Texas Bar Review course includes online access to over 80 hours of lectures covering all testable subjects. The lectures are focused on what you need to know to pass the Texas bar exam. Access them on any connected device. Hundreds of procedure and evidence questions and answers. The Texas bar review course includes 1500+ learning question. These questions reinforce reinforce key concepts. Our amazing Texas bar review course comes with a 4-day risk-free inspection period. If you return the books within 4 days of receipt for any reason, you will get your money back (minus 12.5% fee). 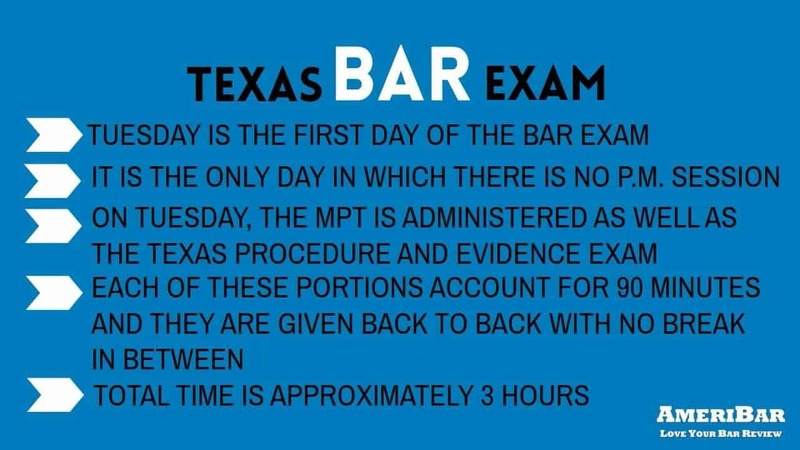 If you don't pass the Texas bar exam, you will get a free retake of the online course. 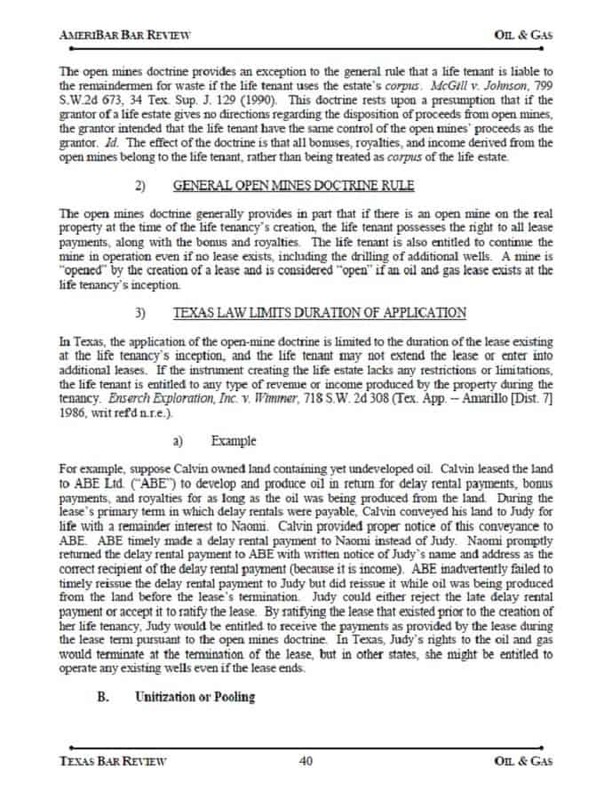 Provide us with a copy of the results within 10 days of notification from the Texas examiners, and you will have continued access. 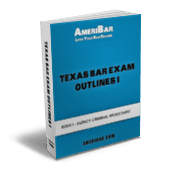 AmeriBar's template bar review course study calendars for the Texas bar exam provide a framework for your day-to-day study process. Calendars are available for different study timeframes. Life can get in the way of taking the bar exam! For so long as you are taking the Texas bar exam, you will have access to AmeriBar's online course materials (up to three years). AmeriBar's two Texas Bar Exam Outline Books cover the law tested on the written portion of the Texas Bar Exam. From procedure and evidence, to business associations and trusts, and everywhere in between, these books cover it all. 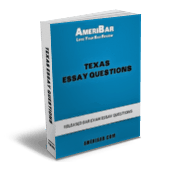 The Texas Essay Questions and Answers books contain hundreds of prior essay questions and sample answers. AmeriBar’s Texas course includes a book containing prior Texas short-answer procedure and evidence questions. 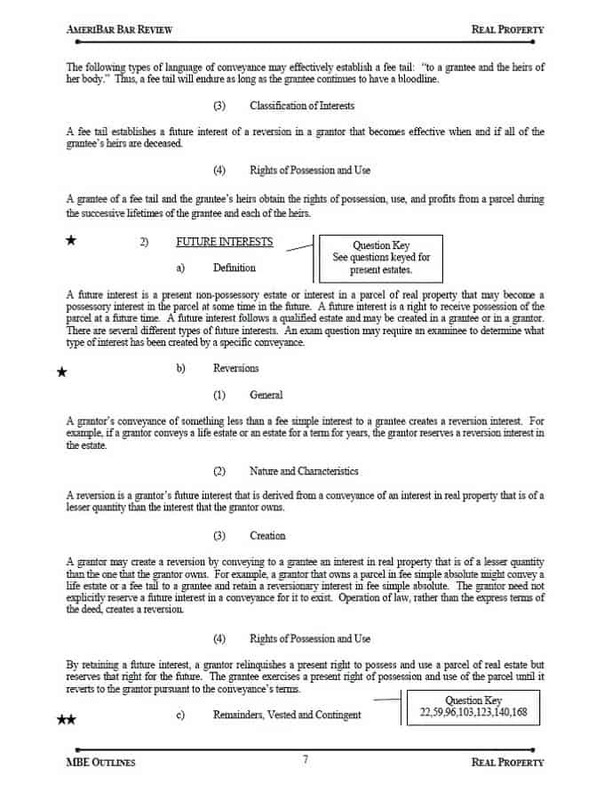 You’re also provided with a model analysis or issue summary for each set of questions. 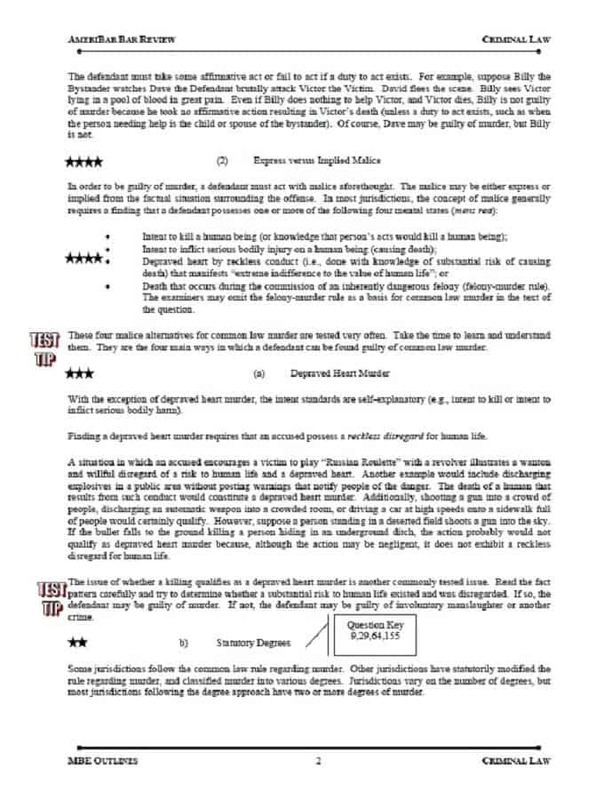 Write Texas Bar Exam essay answers that get points! 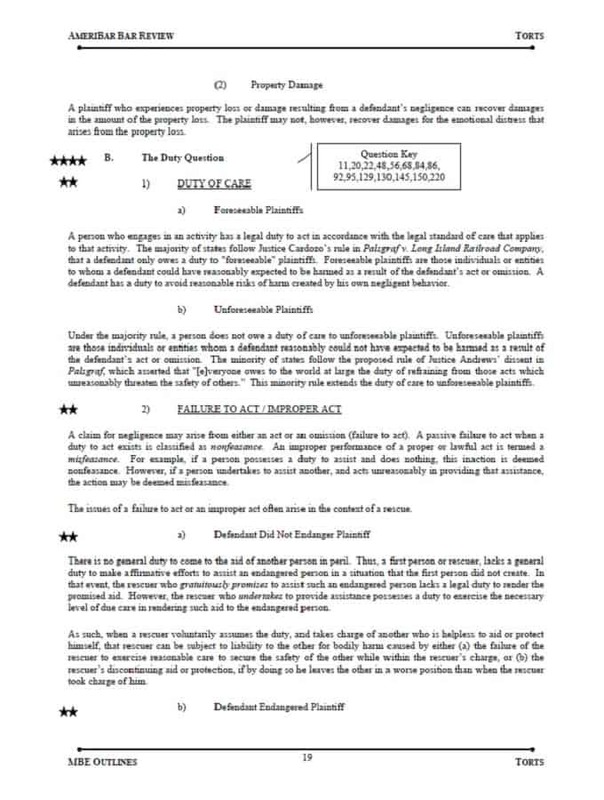 Submit 11 answers to prior Texas bar exam essay questions during the 6-week period before the exam. We will provide a detailed individual expert review that will tell you exactly how to improve your score. For an additional fee (for a limited time the ipod rental is free with any complete course), rent an Apple iPod Touch pre-loaded with all Texas bar review course audio lectures. Take the lectures with you, wherever you study. Prior students have used their iPod to listen to lectures in their car, on the train, at the beach, and in the gym. Listen without an internet connection. For an added fee, an AmeriBar Texas Bar Exam tutor will work with you on any portion of the bar exam: MBE, Essay, and/or MPT (if applicable). AmeriBar has been tutoring repeat takers for over 17 years. The program is specifically tailored to your individual needs. Learn critical strategy and test-taking skills that can be used to improve your exam scores. 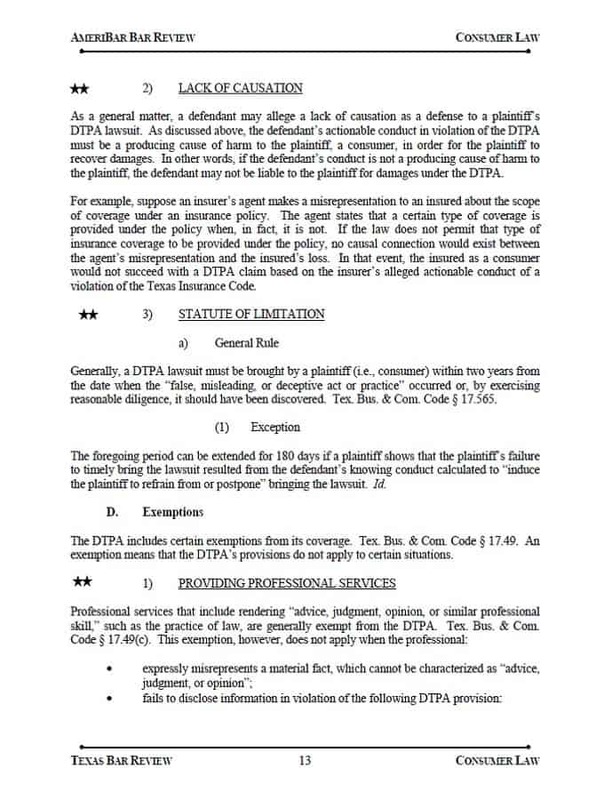 Study for the Texas bar exam anywhere you can take your connected mobile device. Watch lectures, answer learning and MBE questions, and much more on the go. Other bar review companies cut costs by eliminating physical books. With AmeriBar, you will get 9 real Texas Bar Review books. With AmeriBar, you are never just a number. You become a part of a family. We are committed to helping you pass the Texas bar exam.